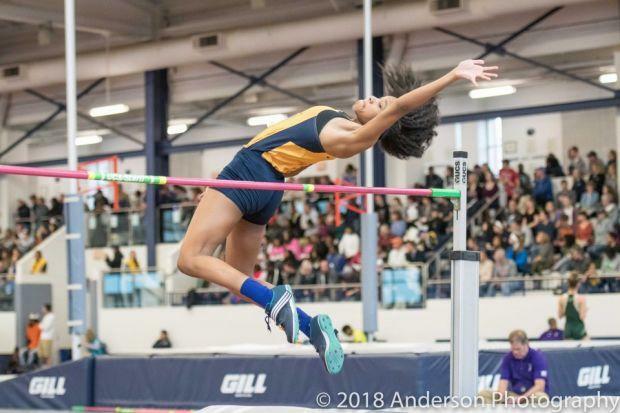 If you were paying attention to Brianna Smith at Saturday's PTFCA Indoor Track Carnival, you may have seen the Cheltenham junior glancing down at her phone quite a bit. Though she (probably!) wasn't returning texts to friends. Instead, she was checking her "list." Smith was running all over Lehigh University Rauch Fieldhouse, competing in three different events during the course of the day-long meet, but she always made sure to periodically take out her phone. "I keep a list in my phone of each event for things I need to work on," Smith said. "When I go to the next event, I'll read the list and think on those things so I remember them." There's that, and there are snacks too, of course. "I'm known on my team as always having something to eat," she said, joking about her need to refuel during a long meet. "I'll always have a bunch of snacks." It's all part of a structure that Cheltenham coach Jerome Lowery says helps keep Smith prepared for each individual event throughout a meet. 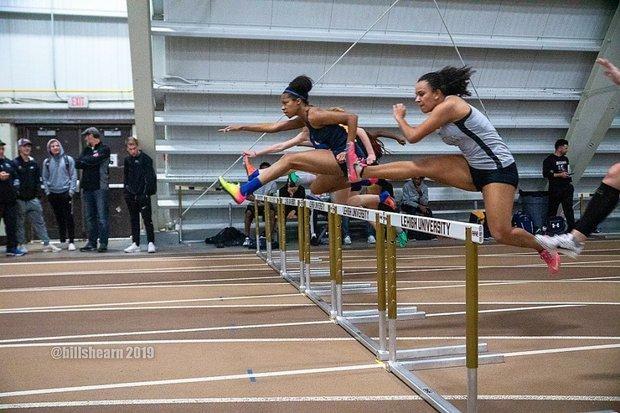 Smith specializes in the multi-events and she figures to be one of the nation's top pentathletes at March's New Balance Nationals Indoor. "Because she has so many events that she has to do, we have her write down the three things and look over them while getting ready for that event," Lowery said. "That way, she can specifically focus on that event, despite knowing that she has more events to go." Saturday's PTFCA Carnival was, in a sense, a trial run for Smith ahead of March's New Balance Nationals Indoor. The pentathlon isn't contested at any meets at the high school level until the national meet at the Armory, so Smith needs to prepare by competing in a number of events in one meet. 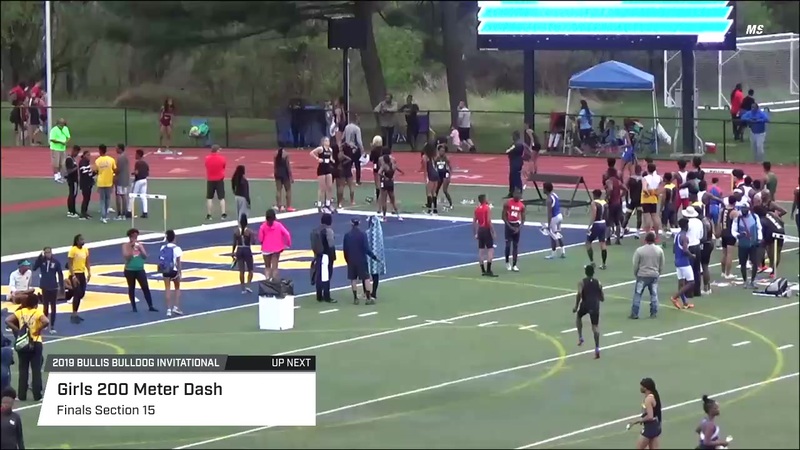 At the Carnival, Smith went from the long jump trials to the hurdle trials, then back to the long jump for the finals, and then back to the hurdles for the finals. After all that, it was time for a competitive high jump competition. 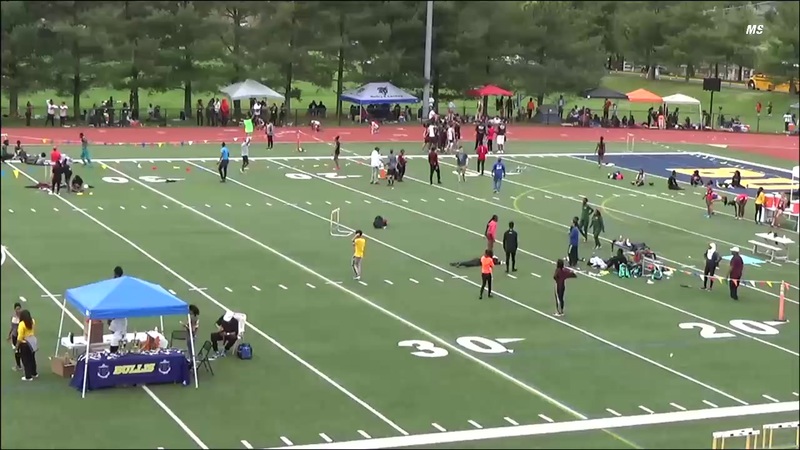 It was a successful day for Smith, who won the long jump, took fourth in the hurdles, and second in the high jump. At the February 24 indoor state meet, Smith will likely compete in the 60-meter hurdles, long jump, high jump, and as a leg on Cheltenham's 4x200-meter relay. That, too, will be a busy day for her. Entering the weekend, Smith sits at PA#5 in the 60-meter hurdles, PA#2 in the high jump, PA#7 in the long jump, and PA#12 in the 200 meters. 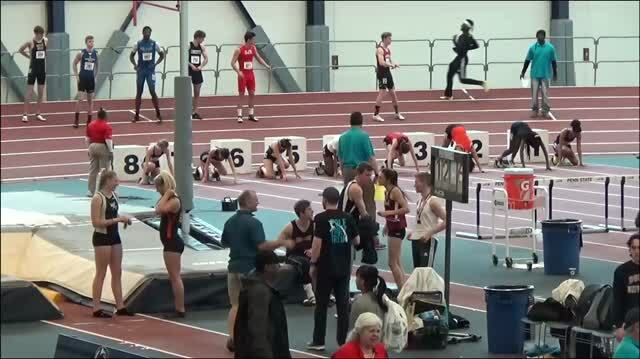 The pentathlon, admittedly, isn't for everyone, including those you may possess the necessary physical traits. Lowery, who is in his second year coaching at Cheltenham since coming over from Philadelphia's Imhotep, says that Smith is the perfect kind of athlete for the multis. "How you see Brianna on the track is how she is in person," he said. "That's her character and her natural behaviors. She's very structured and organized. She makes sure that she focuses on one thing and devotes as much as she can to that one thing." Smith agrees that perhaps the multis aren't for everyone. "It takes a certain amount of dedication and maturity," Smith said. 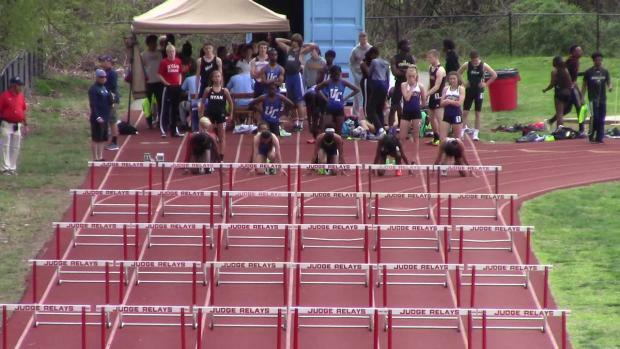 "There's a lot of people that may be better than me, but it takes another kind of person to do the multi events." Often times for Smith that means staying later at practice to get additional work in for a particular event. "You're going to separate yourself from everyone else and I think you have to come to peace with that," she said. Lowery, along with jumps coach Dave Gary have crafted a unique training regimen for Smith that includes some variation of distance on Mondays, hurdle form and jumping technique on Tuesdays, short speed on Wednesdays, and shot put and high jump work on Thursday. At the heart of all that, according to Lowery, a former standout hurdler at Father Judge and the University of Pittsburgh, is the sprint work. "Above all else has to be the most important thing because a lot of events she does goes back to speed and good sprint mechanics," Lowery said. "We also have to take time to make sure she's getting the technique right." This year has been a big breakthrough for Smith, who has improved in virtually every one of her events. In the high jump, arguably her best event, she posted a PR of 5-8 (twice) and has consistently been clearing heights around that. 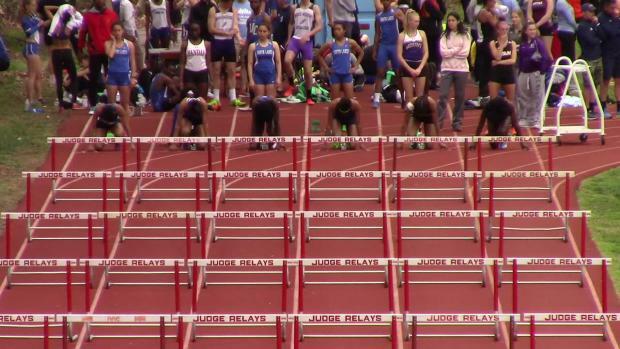 She ran a best 8.96 in the 60-meter hurdles earlier this season. 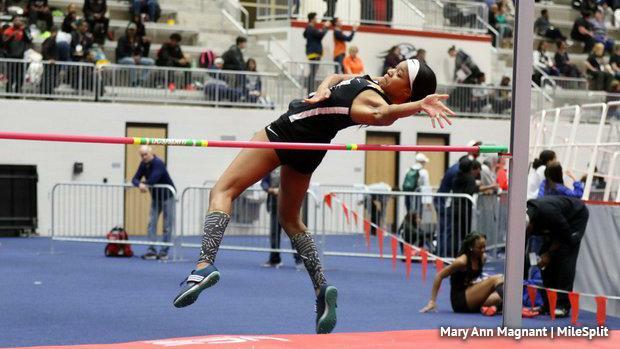 In the long jump, she's twice jumped over 18 feet, a distance she previously hadn't hit before this season. She even popped a 25.63 in the 200, showing off that pure speed. 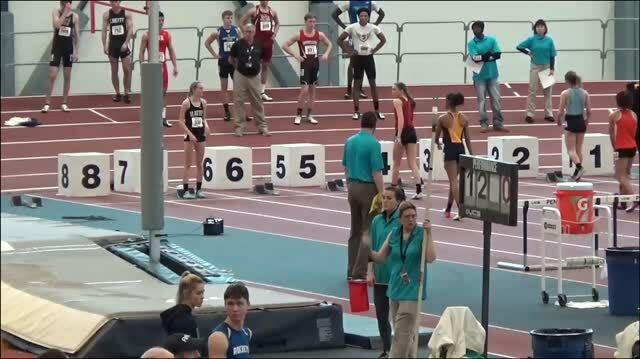 A turning point came last year at indoor nationals. Smith finished with 3,268 points, but in seventh place, just outside of All-American territory. The top six make All-American status at NBNI. "That was devastating to me," she said. Though she was upset in the aftermath of that near miss, Smith soon gained some perspective, knowing she was only a sophomore. In turn, she says she's gained more confidence and not been in her head as much during competition. The results have shown. "I have all this motivation knowing I can go out there and do this," Smith said. "Even if I come up short in one event, I know I can bounce back in another one." While Smith will be a factor to win state medals, and even a state title at the indoor state meet, her training is more directed at her competing at her best at nationals. After last year's disappointment, Smith has come back for her junior year on a mission. "This year she is really hungry and focused," Lowery said. "A lot of what we've been devoting to at practice is focusing on increasing the number of points she can get in all her events. "It's made her an overall better athlete," Lowery added. "Her competitions in the past have molded and shaped her into the athlete she is today. We're so excited for her to compete."